Built with Quad Cores and a 2MB RAM, this tablet is able to do split screen multitasking with 2 apps running in parallel. 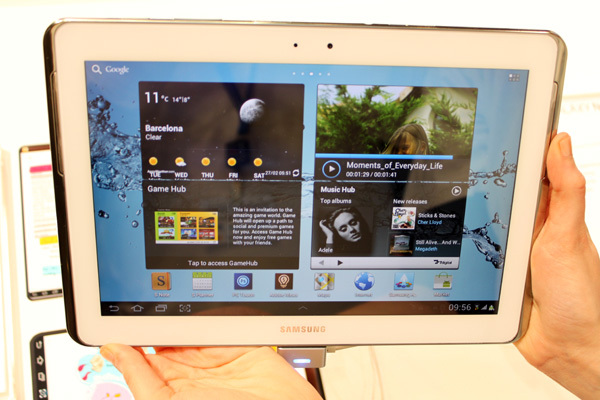 It has the stylus pen carried over from the Galaxy Note smartphone. The stylus is a big plus over Ipad as coupled with the S Note & S Memo app feature, you can draw amazing diagrams and pictures over the tablet. This can easily replace the plain and boring whiteboard. Since owning a Galaxy Note, I am a big fan of Samsung smartphones. 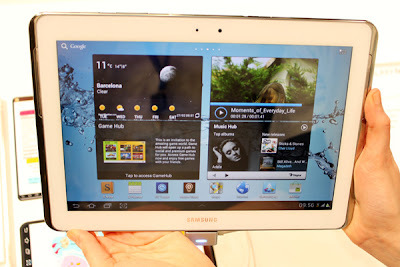 Now with the release of Galaxy Note 10.1, the tablet version of Galaxy Note , this going to pose a huge challenge towards Apple's dominance in the tablet domain. It is not a big surprise that Apple is suing Samsung for ~USD2 Billion for 'supposedly' patent violations. (Patent wars are very common nowadays, it is good time to be a patent lawyer.$$$. When I was in Uni, I was surprised that my engineering friend planned to further his studies to become a lawyer as he sees a niche of becoming a patent lawyer. Armed with a engineering background, a lawyer can become a good patent lawyer. At that time, I did not know there was a market for patent lawyers. It was the time before the existence of smartphones or tablets. Apple won already in the patent war with Samsung. I don't think so, because S3 don't have stylus. I tried my stylus pen on S2 before but it cannot work at all. yeah. Just saw the news on Apple. Haih. They should allow higher competition instead of a single monopoly, so that consumer is the final winner.